Keep the magic of Santa alive. 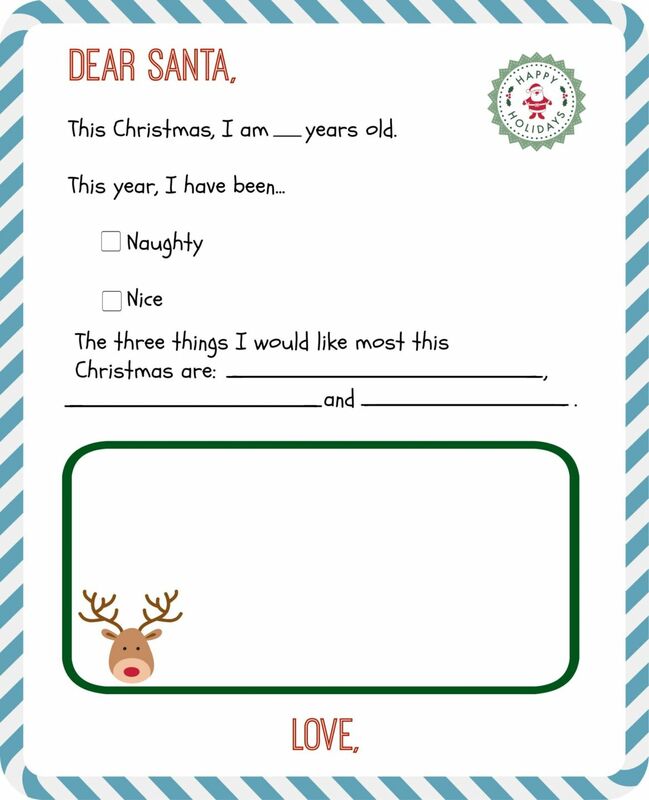 Use one of these 3 printable letter to Santa templates and then follow the instructions to get a “reply” postmarked from the North Pole! My daughter has been mentally working on her Christmas list since Halloween but in these last few days, after the passing of Thanksgiving, it’s taken on quite a frenzy. All the biggest toy catalogs have been examined, holiday toy commercials analyzed and the American Girl catalog has notes on every page. Maybe it’s because Santa was such a long time ago for me, or maybe it’s because she is our first, but I had no idea what serious business this Christmas list is! Now that the final, final, FINAL draft of the list has been made, I thought it might be fun to create a printable letter to Santa for her to fill out. Then I couldn’t decide exactly which format I liked so I created three to share with you all. Just right-click the photos to save image and print. Enjoy! I created this one especially for my kindergartner. She is working hard at early reading and writing skills so I didn’t want the list to be too much for her – it should be fun, after all! The bottom space is great for drawing Santa pictures or if she is feeling ambitious, she can continue her list! The idea that Santa will not get you everything on your list was something shared in our home often growing up. Santa always got us one of our “wish list” items but we also always received clothes and something we needed. 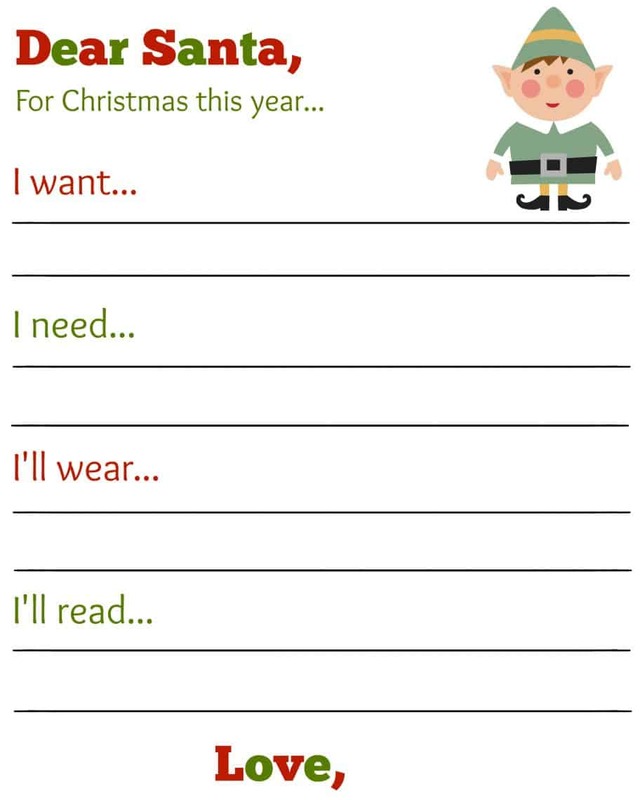 I think this Santa letter template is perfect for creating that idea of balance and also a great discussion starter for the concept. 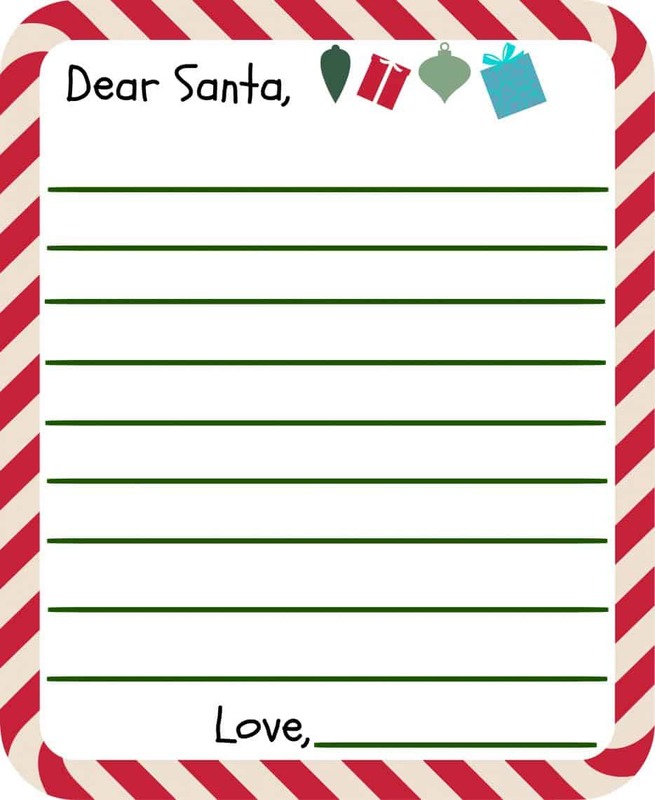 This printable Santa letter template is perfect for older kids or those like mine who want to get straight to the point and maximize space for their list – like I said, it’s a serious business! Now that the kids have created their list, it’s time to get them mailed and receive a response from Santa! The USPS has a great system in place that allows parents to help Santa reply to their kids letter and receive a postmarked envelope with an official North Pole postmark. Step 2: Write “Santa’s” reply on a new piece of paper OR better yet, write it on the BACK of your child’s letter to Santa and put it a standard sized envelope addressed to your child and marked FROM Santa Claus, North Pole. Don’t forget to place 1st class postage on this envelope! TIP: Have a friend write it or just use the computer so that handwriting can’t be recognized. Santa’s “reply” will be mailed to you with a special North Pole postmark! Letters from Santa must be received by the Anchorage, Alaska Postmaster on or before December 11, 2018 to ensure delivery by Christmas. Do you think I can put my 3 kids letters in one big envelope? This is such a cute post! Any kid would love to receive a letter from Santa. Mine are all grown ups so I guess they pretty much know who Santa is. Haha.